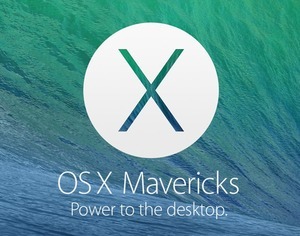 Apple released its latest major revision to Mac OS X last week. Mac OS X v10.9 (also known as Mavericks) introduces some interesting new features and, to a degree, synchronizes the user interface of Mac OS X with the recent iOS 7.0 upgrade. This is the first major OS X upgrade that Apple has released with no upgrade fees at all. FileMaker released v12.05 for Mac OSX 10.9 compatibility; their official stance is that FileMaker v11 is not compatible with Mac OS 10.9. In my personal testing, I did not find any problems with running FileMaker v11 in Mavericks. This should not be taken as comprehensive proof that there are no potential problems, but I was able to open, navigate around, and print reports without any trouble. 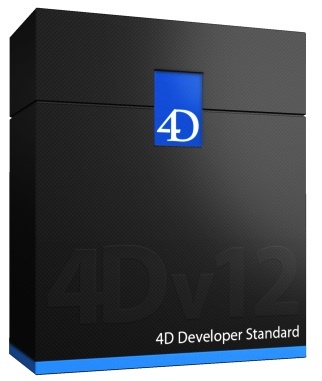 I have had essentially the same experience with 4th Dimension: no problems with either 4D v12 or v13 in Mac OS 10.9. For those conversant with FileMaker Server setup, we’re quite familiar with port 16000. According to the FileMaker knowledgebase article 10672, port 16000 is used to serve the Admin Console Launch Page. We recently discovered a “new” use for port 16000 that, until now, was undocumented in any KB article. In our latest upgrade to one of our more complex FileMaker apps, E-Com, we rolled out an anticipated new feature that utilizes the interactive container fields and external secure storage released in FileMaker 12. Right off the bat, the majority of the clients were using the new feature without issues, but there were a few clients reporting that the feature was not working as expected. These users were able to upload to and download from a container, but were unable to see the file in the interactive container. Of course, we went over every detail: file permissions, field permissions, network settings (both client and server), server settings, FMS settings,... cloud coverage? Did the Mets win last night? Did we remember to cross our fingers before we deployed on that server? We were at a loss. A call to FileMaker support was in order. In my years of working with FileMaker, I have had mixed results working with FileMaker tech support, but in this case they were able to help out. That’s something that we didn’t think to check, so we did a port scan and, sure enough, port 16000 was not open to the remote users, but was open locally for the FMS Admin Console. We opened up port 16000 to the remote users and, sure enough, that did the trick. So, if your solution is using interactive containers and users are reporting that they can’t seem to “see the files” interactively, check that port 16000 is open from the server to the users. We’ve recently been working on designing a new set of features for a FileMaker solution used by one of our clients, Darwin’s Natural Pet Products. Our client asked us to write a new order processing interface, including credit card charging, while maintaining PCI compliance (essentially, credit card number security). We were able to meet these requirements through the use of 360Works Plastic, a 3rd party plug-in for FileMaker. The plug-in allows FileMaker to interact securely with 12 gateways, including Authorize.net. 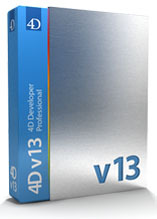 The plugin comes with a sample file that includes demo code for every gateway. The demo code is very handy for scripting transactions. The new version of Plastic supports payment profiles with Authorize.net. Payment profiles allow you to create a profile in Authorize.net by supplying the credit card data and billing data. Once submitted, you receive a profile ID, which is stored within the customer record (or credit card record if the customer has multiple credit cards). Then, when you want to charge, authorize, or refund the credit card, only the payment profile ID needs to be supplied. The plugin also supports creating customer profiles and shipping profiles within Authorize.net. This functionality completely solves the problem of needing to support automated credit card charging without having to store the actual credit card number in the FileMaker application.